Virtual reality gaming is, well no longer a virtual reality. This new technology has completely altered the gaming experience and will open doors to new possibilities, that not long ago we thought were impossible. The Oculus Rift is one of the finest VR headsets out at the moment. it is light, weighing just over a pound, is comfortable, padded and fits easily. If you remove the headset mid game a proximity sensor detects that it has been taken off and automatically pauses the game, restarting when you put it back on. If you're ready for virtual reality gaming we've got the best deals for Black Friday. Take a look below and be sure to keep checking the page. And all our deals are for finished retail versions not early development kits (Dk1 or Dk2) which are available, especially on eBay. Be careful you know exactly what you are buying. The Oculus Rift does require a reasonably powerful PC. You can check if yours is compatible through its Rift ready tool checker. It isn't compatible with Xbox One or PlayStation. Though unlike most first generation consumer technology products, the Oculus Rift is distinctly polished and easy to use. 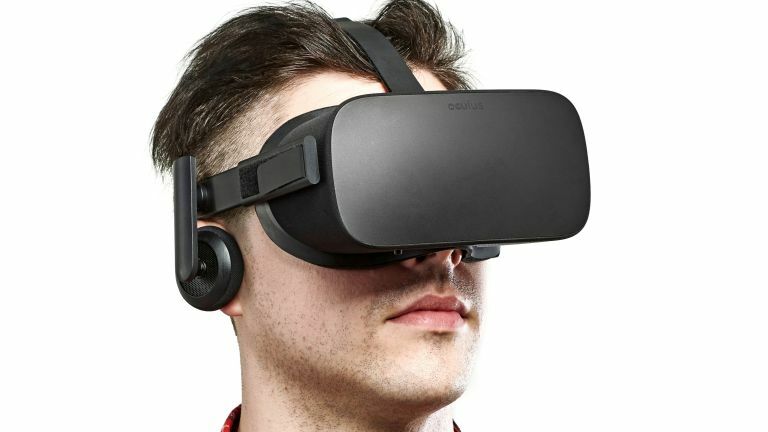 To get started you simply install the software from Oculus's website, plug the headset into a USB port and HDMI port, plug the camera sensor into a second USB port and point it where you're going to sit/stand stand, and then plug the included Xbox One wireless controller (Oculus teamed up with Microsoft) dongle into any USB port. It's relatively straightforward. Oculus Touch is a pair of motion-controllers which feel as natural as using your own hands. They are designed to give an intuitive way of interacting with select games and with hand-tracking technology, it's possible to see a digital representation of your own arms and hands in-game. Keep an eye on this page as we'll list any that appear as soon as they are launched. Expect them to cost around £190/$199 for the pair.